Our exclusive custom movers boast of extensive expertise and experience that spans two and half decades. 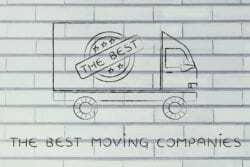 Best Moving & Storage was founded in 1994 in Naples, FL, and has over the years established a track record in providing moving and storage services, mainly in Southwest Florida. Our business is family owned and operated, which means that our services are customized with unpretentious elegance to suit all our clients’ needs and wants. At Best Moving and Storage high-end movers, our main goal is to ensure that our customers’ valuables are delivered with the utmost precision and efficiency. The moving company is officially an Allied Van Lines Agent, a factor that attests to our esteemed customer service and capacity to move and store clients’ properties across the greater Southwest Florida region. In order to prevent damage to customer valuables, our refined moving company has invested in the latest and safest moving equipment and over 10,000 square feet of air-conditioned storage space. Additionally, our professional service providers are well trained and receive regular training on the best lifting and property moving techniques to keep up-to-date with industry standards. One of our greatest and unique qualities at Best Moving & Storage is our high-end bespoke moving services. The best possible safeguard for super valuable and expensive luxurious products remains custom-built boxes created around the articles. With this observation in mind, we customize our moving and storage services around the articles being moved and guarantee 100% protection during transport and storage. We value our individual customer needs and ask them the appropriate questions to ascertain that we offer them the right package that fit their moving and storage needs. Apart from the standard services, we provide our customers with additional packing supplies as needed, such as garment boxes and bubble wrap among others. Overall, our high-end custom movers provide affordably priced, optimized, professional, and comprehensive services in line with our clients’ schedules and convenience. Whenever you are in need of moving services, ensure to check us out.